00:11 Piata Universitatii – University Square – located in downtown Bucharest, near the University of Bucharest. It is served by Universitate metro station. 00:55 Arcul de Triumf – Triumph Arch is one of the best known Bucharest landmarks. It is located in the northern part of the city, on the Kiseleff Road. 01:31 Palatul Parlamentului – The Palace of the Parliament formerly know as “House of the people is probably the most famous Bucharest Landmark. 02:44 Opera Romana – The Romanian National Opera – located in a historicla building in Bucharest. 03:01 Stadionul National – The National Aren – is the national stadium of Romania, in the Lia Manoliu National Sports Complex in Bucharest. Opened in 2011, it replaced the former National Stadium. 03:05 Memorialul Eroii Neamului – Nation’s Heroes Memorial – is a monument located in the middle of Carol Park. 03:07 SkyTower – althouh this is a n office building is is also a Bucharest Landmark – according to Forbes Magazine – and yours truly. 03:56 Parcul I.O.R – Alexandru Ioan Cuza Park – is a park located in 3rd Sector of Bucharest. 05:05 Lacul Vacaresti – Lake Văcărești is a lake in the south of Bucharest, and part of Vacaresti protected area. 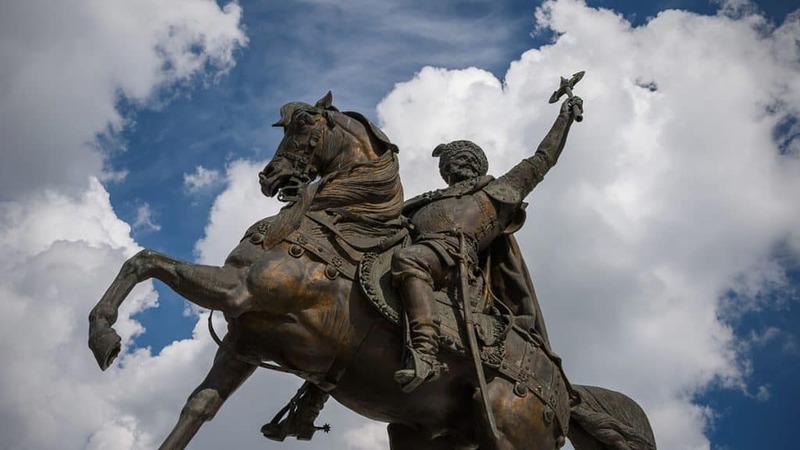 05:49 Statuia Ecvestra a lui Carol I – Equestrian statue of Carol I – another well know statue part of Bucharest landmarks – Carol I was the first king of modern Romania. Looking directly at the former Royal Palace (now the National Art Museum), the statue is one of the largest in the city and unquestionably the most prominently positioned. 08:40 Palatul Patriarhal -Palace of the Patriarchate – is a historical building located on the plateau of Dealul Mitropoliei. 09:03 Euro Tower – Euro Tower is another prominent modern office building that is rapidly becoming part of Bucharest landmarks. Located fronting one of Bucharest’s main arterial routes, Barbu Vacarescu. 09:08 Circul Globus – Globus Circus- a giant circus set under a big-top. More than 3,000 people can watch spectacular performances here, ranging from circuses and concerts to holiday markets. It was erected in 1960 and is a must-see on your stay in Bucharest. 11:23 Pod Grozavesti – Grozavesti Bidge.